Bless her heart, the poor thing. There wasn’t a whole lot else on this afternoon, so I was watching Food Network, like I do. There’s an actress, Haylie Duff, with a popular food blog who has a new show, called “Real Girl’s Kitchen”. This episode had Haylie and her friends having a potluck. Each person was to make something their moms cooked, something they really enjoyed as children. During the first half of the show, Haylie’s mother Suze was with her in the kitchen, cooking classic cornbread and chili. They were talking about family recipes. Haylie said there were some dishes that she wanted from her mom. Suze told her to basically pound sand—it wasn’t gonna happen. Culinary red card for Suze! Unless you’re in business and your livelihood is dependent on being the only one in town that knows how to make fluffer-nutter leg of lamb (or whatever), be complimented that somebody likes it enough to want to recreate it, and graciously hand it over. 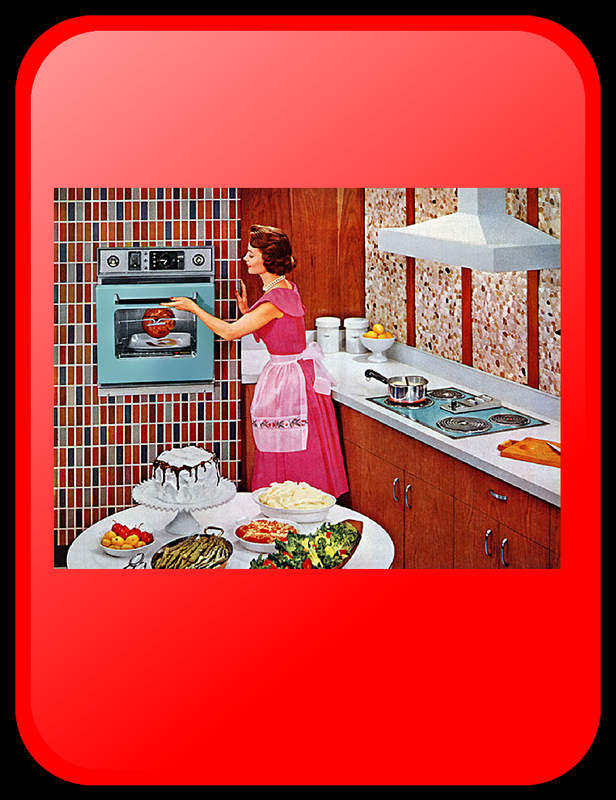 There are many ways to look at cooking. 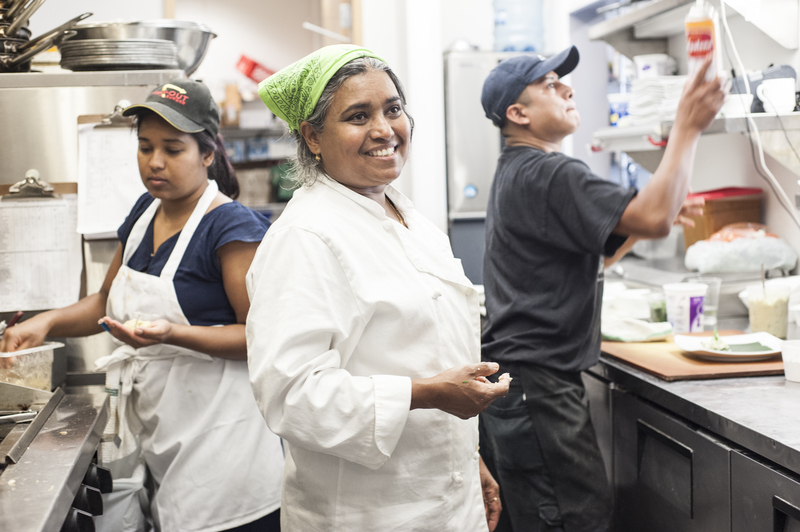 A very wise woman, Vimala Rajendran, is the talented, ethical chef/owner of Vimala’s Curryblossom Café (431 W Franklin St Suite 16, Chapel Hill) and a food activist. Her view is that food is communication. I look at food as a gift. But not like my food is so awesome that it’s God’s gift to humanity. It’s more in the sense that cooking is something that I can do reasonably well and I want to nourish you, or pamper you, or just make you happy. And on actual gift-giving occasions, very often the present is something from my kitchen. And when you do share, give with an open heart. Later in the show Haylie was talking to a girlfriend about recipes from her mom. She said that more often than not, Mommy Dearest leaves off an important ingredient, or procedure, so it doesn’t come out right, and she has to go home to get the correctly cooked dish. I love it when my child comes home. The days that The Kid visits are red-letter days at Chez Matthews. We cherish every one. But I would never intentionally provide to anyone a recipe with something missing so that only I can make it taste right. That’s just mean and devious. It’s worse than not giving it in the first place. Years ago we visited Elizabeth City, and Petey’s mom had cooked for us. She served this really unusual, delicious cornbread. It was full of cheese, which isn’t odd. But surprisingly, the cornbread was studded with broccoli. It also contained cottage cheese, which I don’t normally like because of the texture; it reminds me of curdled milk. I asked my mother-in-law for the recipe, and she didn’t hesitate, or prevaricate. She handed it over almost before I finished asking. That, gentle reader, is the definition of culinary generosity. 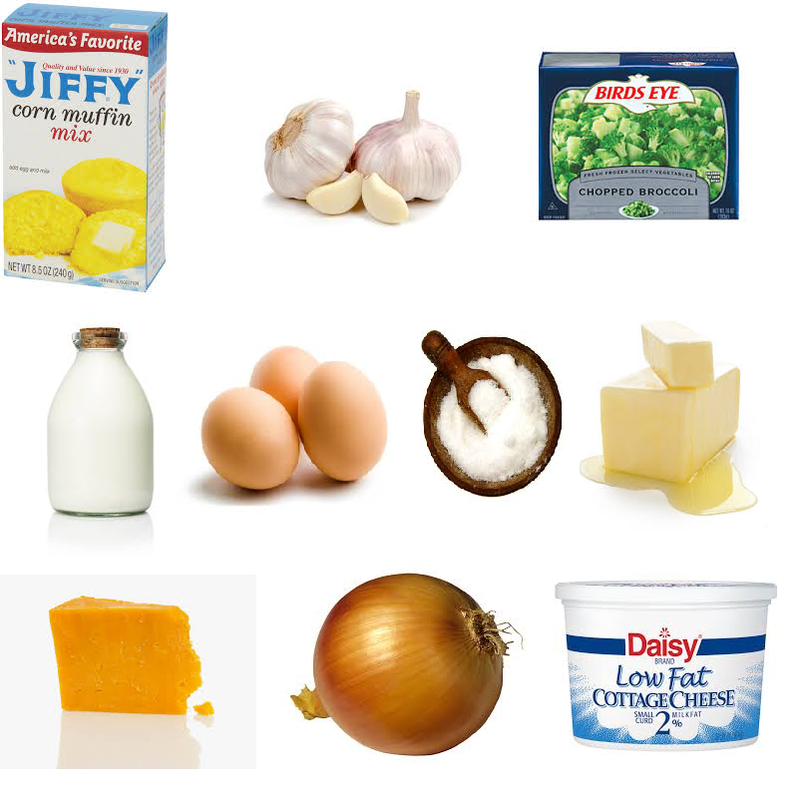 Mix together all ingredients in a bowl except 2 tablespoons Cheddar, broccoli, onions and butter. In a 10-inch cast iron skillet or 8X8 pan, melt butter. Sauté onions and broccoli until soft. Pour batter over the vegetable mixture and sprinkle top evenly with remaining cheese. Bake in oven until golden, 30 minutes. You wanna know what I really love about this dish? This is one of the recipes that Haylie wanted from mom, but no dice. So Haylie Duff, here is that recipe you wanted. I think you should make a batch, and share it with your mother.